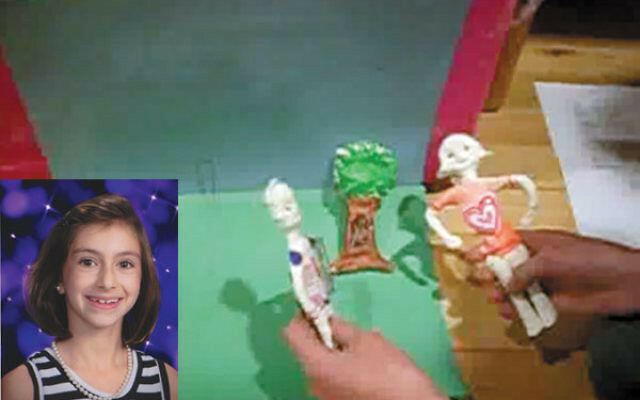 A videotaped clay figure puppet show about planting trees by Arielle Bernstein of West Caldwell, a drawing about praying in nature by Lee Meyers of Montclair, and a PowerPoint presentation about conservation and feeding animals by Ally Schachtel of Essex Fells — all are finalists in an environmental art contest sponsored by Babaganewz.com, the Jewish education website. All three young artists are fourth-grade students in the religious school at Congregation Agudath Israel of West Essex in Caldwell. 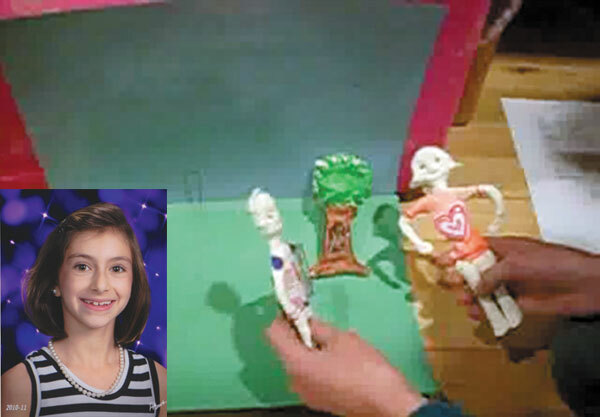 The goal of the contest, which spun off from a lesson on Tu B’Shevat, the Jewish New Year of the Trees, was “to have students think about the environment from a Jewish perspective,” according to Aviva Werner, editor of Babaganewz.com, a project of Behrman House publishers. Finalists were selected by a panel of judges on March 25. She offered the students some different ideas and quotes. Lee was struck by the teaching of Rabbi Nahman of Bratzlav, who taught that it is better to go outside a city and pray near plants because it is peaceful and quiet. “That teaching really meant something to me,” he told NJJN. Ally’s PowerPoint presentation includes information on conservation as well as games to monitor a player’s selfishness or selflessness when it comes to environmental preservation. She was particularly struck by the teaching that you should feed your animals before yourself (Deuteronomy 11:15). Since Tu B’Shevat, she told NJJN in a phone conversation, she and her sister make sure to feed their dog breakfast before they eat.